Castle Rock is a 3800m2 residential development located on a 12,000m2 site in Bodrum, a city on the southern coast of Turkey. 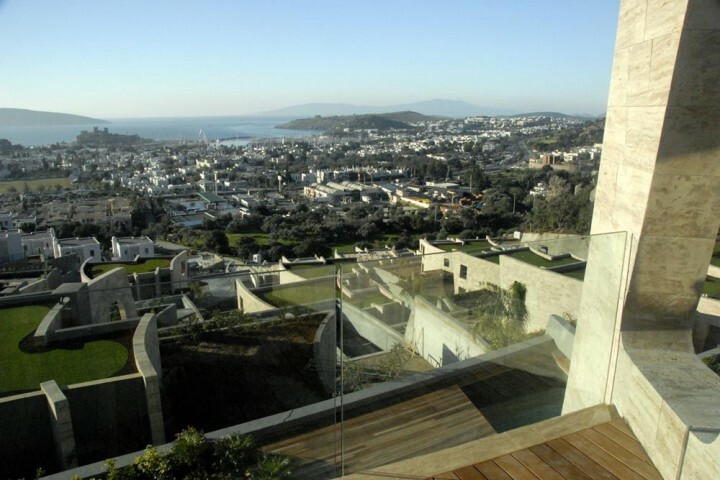 Bodrum is nestled against the sea, and is characterized largely by its Mediterranean climate. 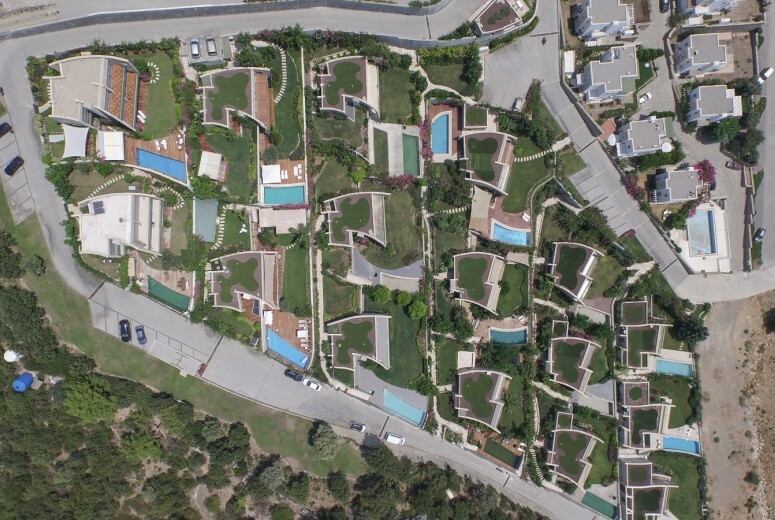 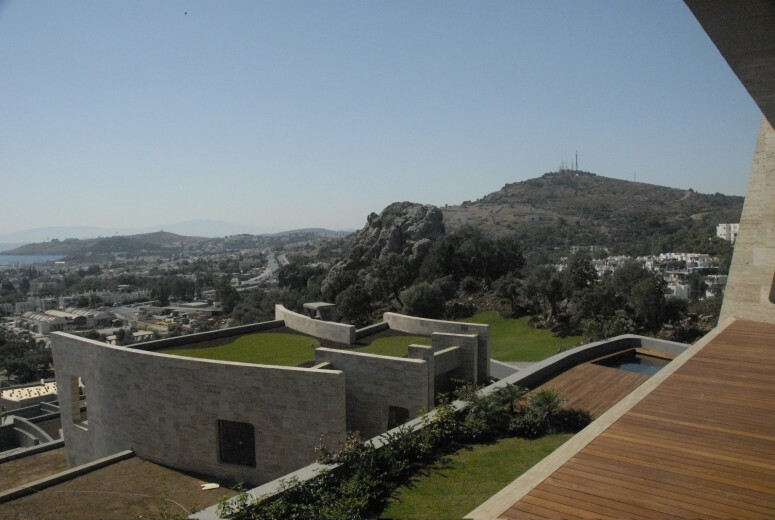 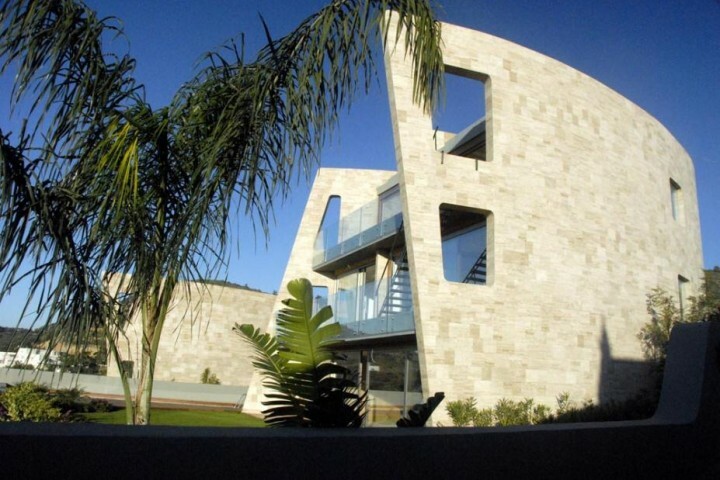 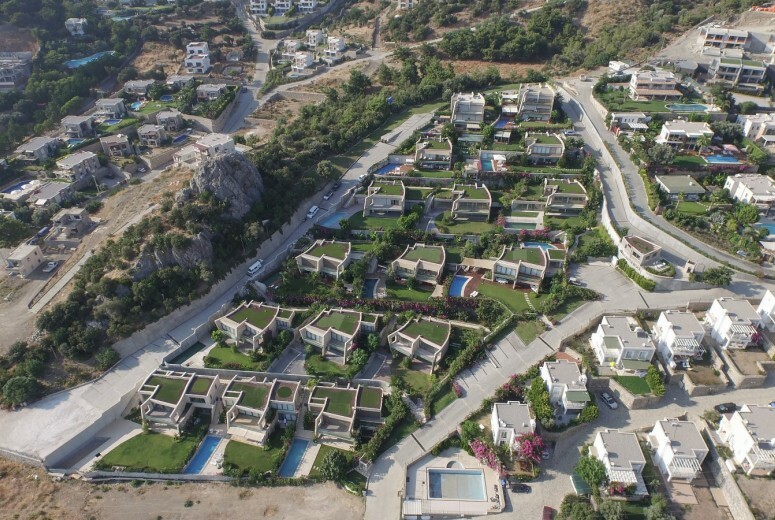 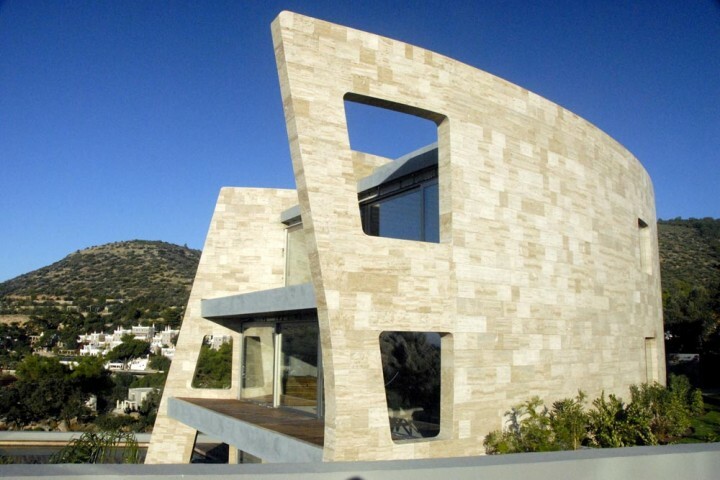 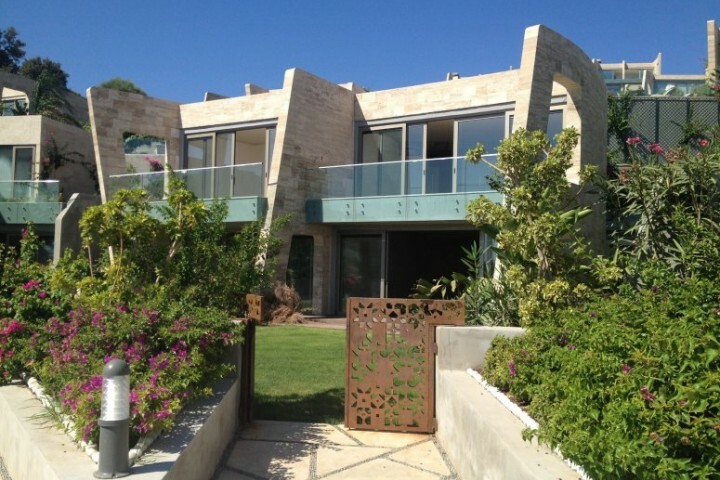 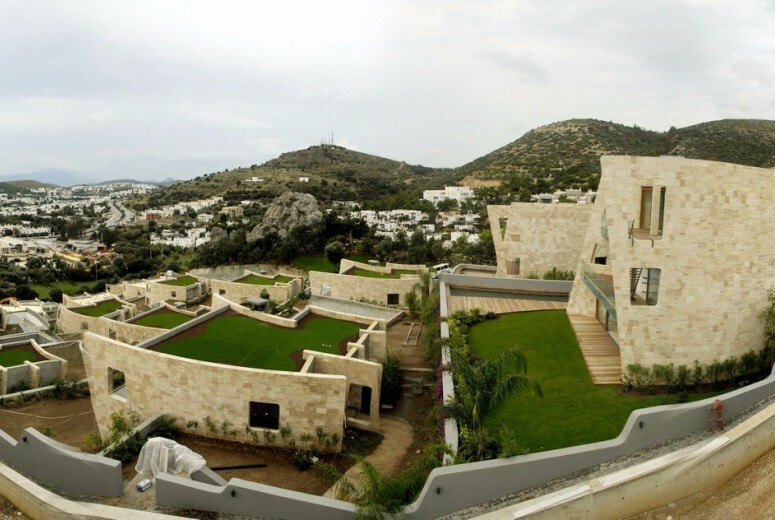 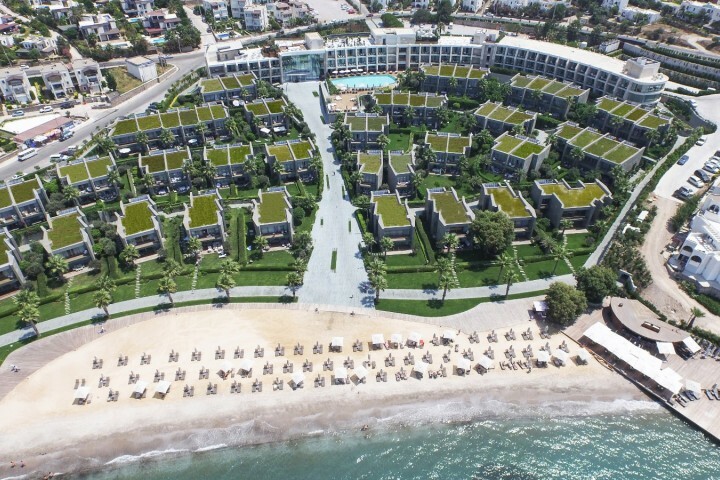 The site is located near the center of Bodrum, perched on a hillside overlooking the city some 65m above sea level. 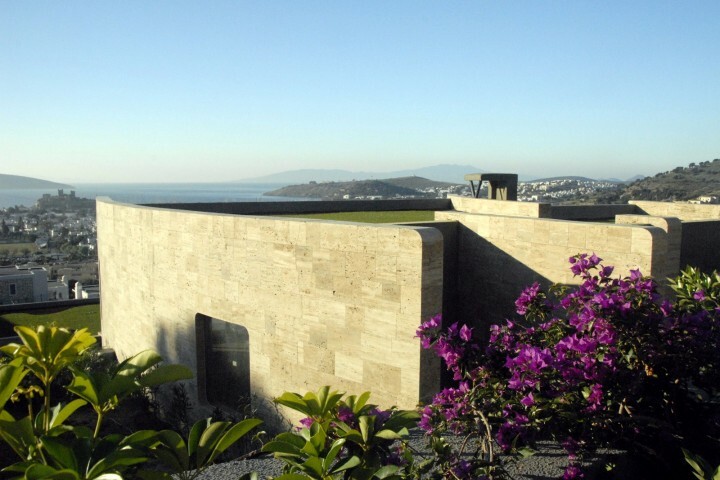 The site is defined by its natural surroundings, and unobstructed views of the sea. 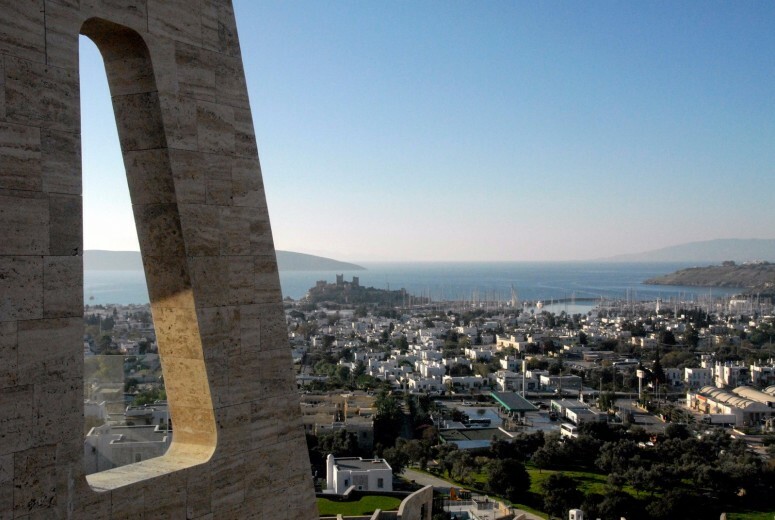 The area is also surrounded by a number of archeological sites, including an ancient amphitheater constructed around the fourth century BC, and the Bodrum Castle, constructed in the 15th century. Castle Rock is shaped by the forces that surround it attempts to blend harmoniously with the neighboring environment and responds sensitively to the natural slope. As a strategy, the buildings are organized by bending and curving them along the natural contours of the site, thus sculpting the landscape and maximizing unobstructed views of the castle. 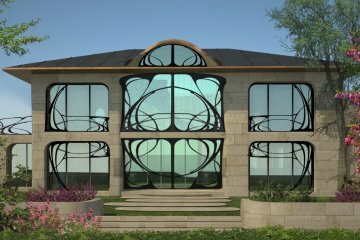 This process is similar to that of braiding, where an organizational grid is established on the site, and a process of threading is used to organize the structures. 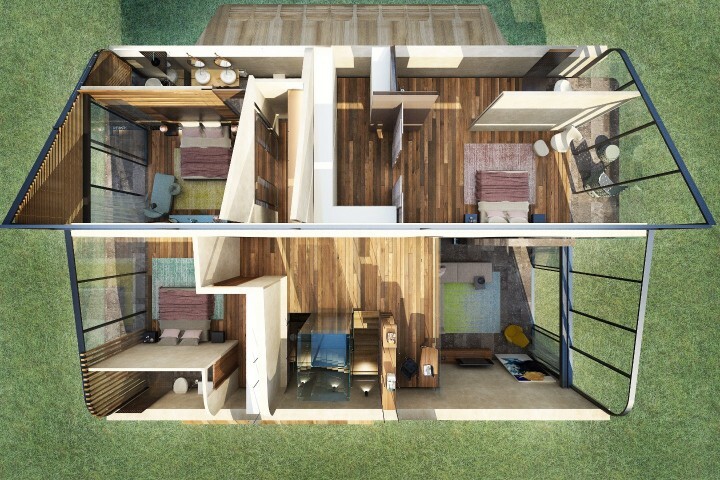 As a result, housing types evolve through a similar strategy, and are organized on different levels to provide a maximum level of variety. 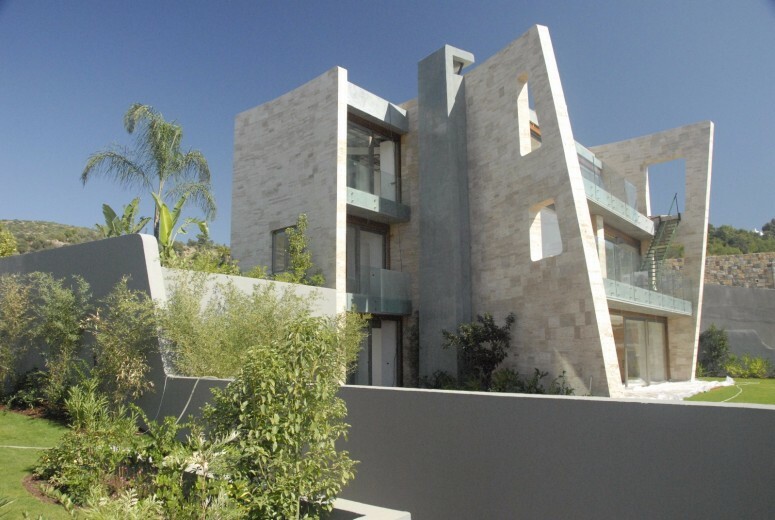 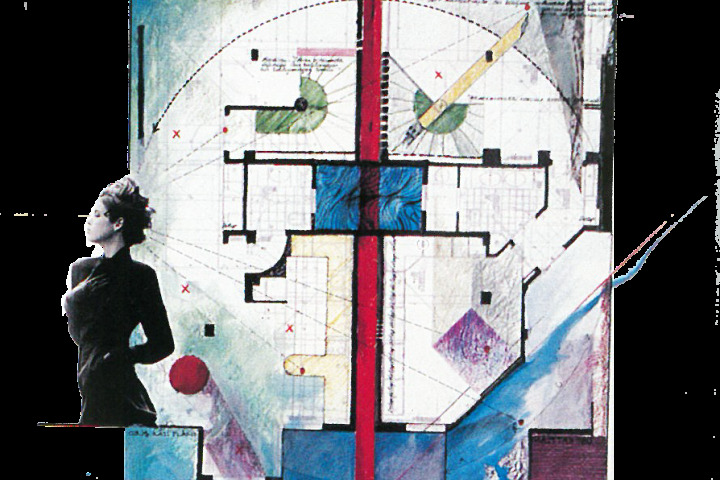 There are 16 units on the site consisting of 3 unique typologies. 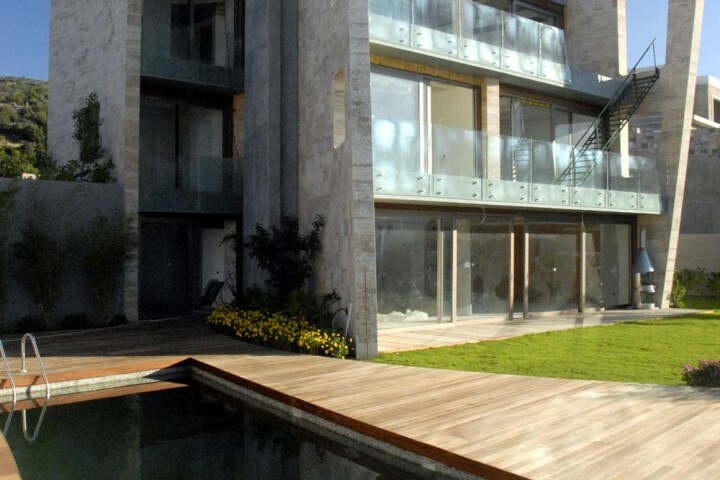 There are both duplex and triplex units, each with their own pool and garden. While sweeping walls provide a level of privacy for the units and maximize views from the houses, openings are punched in the stone walls in order to take advantage of the panoramic views at many different angles. 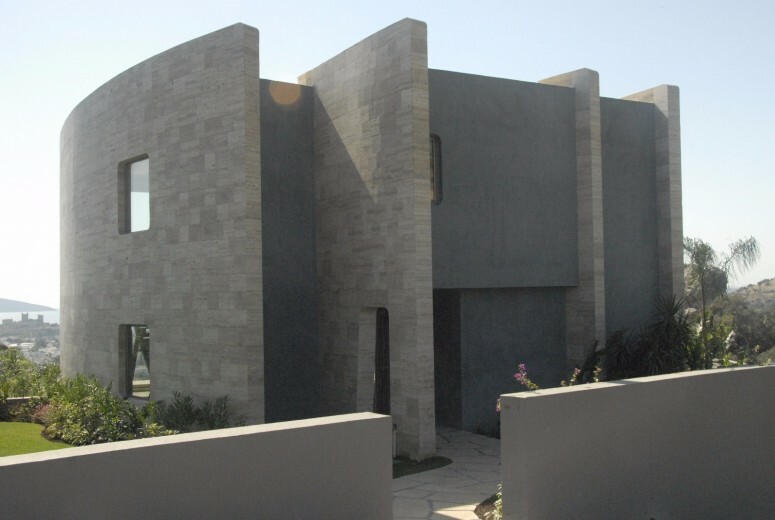 Castle Rock makes use of very few materials, in order to respond more sensitively to the local environment and to provide a sense of unity with the natural surroundings. 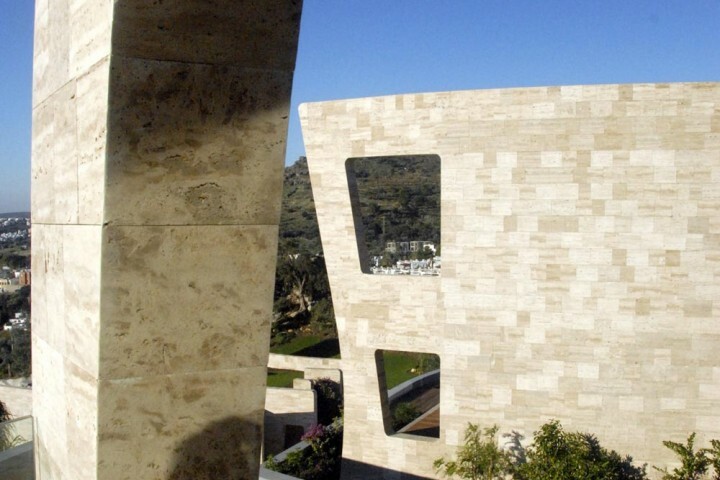 The buildings are constructed from four primary materials: stone, concrete, glass and steel.